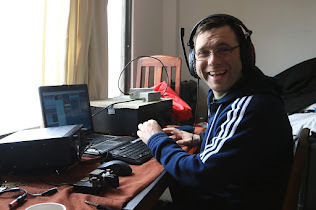 On May 5th the RSGB - 432 MHz Trophy Championship Contest took place from 14:00UTC – 22:00UTC. This was an 8 hour event and the contest ran concurrently with the first few hours of an IARU / RSGB 24 hour UHF contest. This year I was out active with The Parallel Lines Group under the callsign "G8P" from Locator square JO01QD. We had a Huge duct into PA but didn't extend much further unfortunately. There was great WX over the weekend with some nice DX, We finished up the contest with a score of 229 QSO’s 90,466 points and our ODX was OL3Z at 932Km. A great weekend was had by all the team looking forward to the next one.